Over on the swling.com blog admin Thomas has been exploring various indoor antenna options for pairing with an HF capable software defined radio. He notes that unless you happen to live in isolation, you're highly likely to experience RFI problems with standard wire antennas. Instead he recommends looking into magnetic loop antennas which are significantly more resistant to urban electric field based RFI noise, and they can also be rotated to null out any other local noise sources. Thomas then goes on to highlight some of the best commercial magnetic loop options for sale. There is also some good advice in the comments section. We note that magnetic loop antenna seem to work fairly well with the RTL-SDR in V3 in direct sampling mode, but you may need to filter out the broadcast AM band to avoid overload if the loop doesn't do this already. 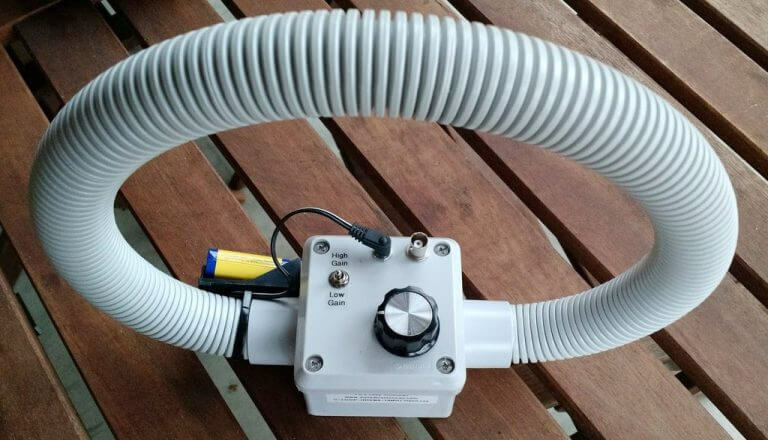 An example small PK-Loop antenna for receiving shortwave with an SDR.